We will provide performers from other prefectures with travel expenses. 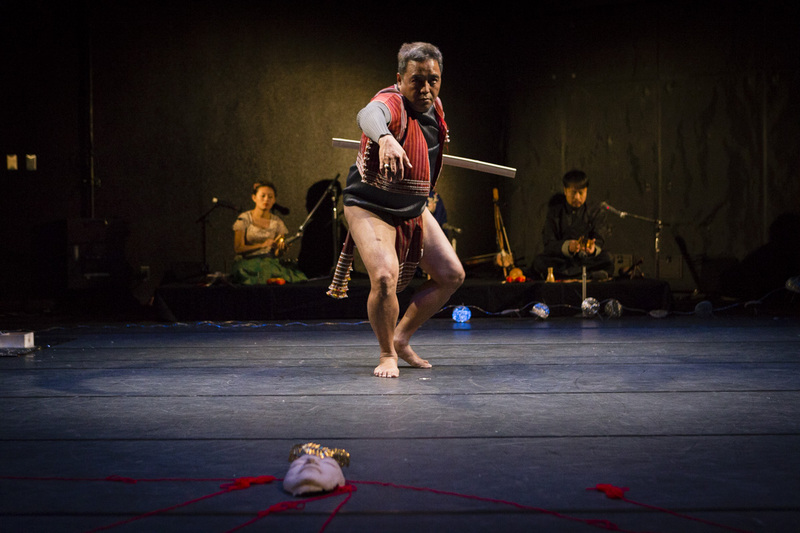 The upcoming “Fukuoka Dance Fringe Festival—the ignition point of dance” is the 11th Fringe Festival since its inception in 2008. The Festival now attracts submissions not only from Japan and Asia but globally. 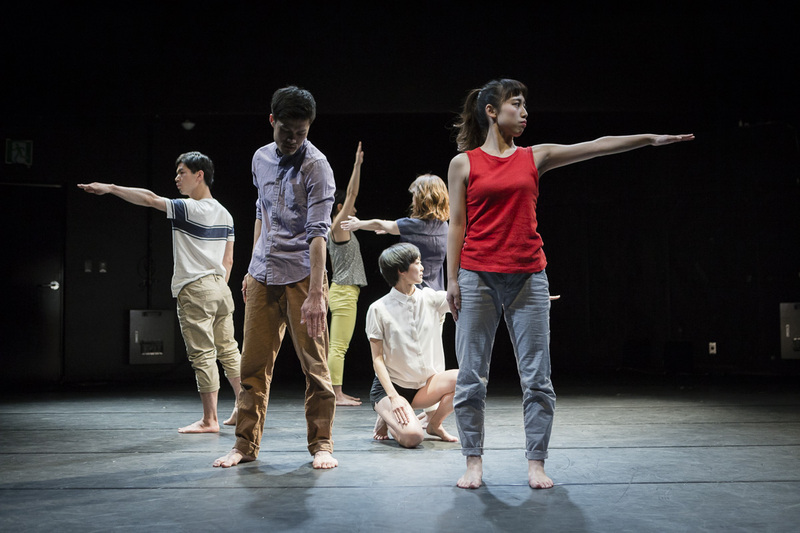 Its ties to numerous dance festivals in East Asia and the attendance of leading festival directors offers a rare opportunity for upcoming performers and choreographers to showcase their work in front of those who can take the best performances to a wider, international audience. We urge artists to take advantage of this rare opportunity and submit their work for consideration. Ten years is a decade past." According to this Japanese proverb, next year's Fukuoka Dance Fringe Festival vol.11 is the first page of a brand new book. I'm thrilled to start accepting submissions for the pieces that will dance on the face of these fresh pages! In a volatile environment where the Earth, society, and us as people are shifting and changing, it's not easy to put all of one's weight into exploring and creating dance. On top of that, there's no reassurance that dancing will make a difference in anyone's life. However, I know that the passion you pour into dance will affect others in unimaginable ways, and your work will return to you in the future as a positive force. 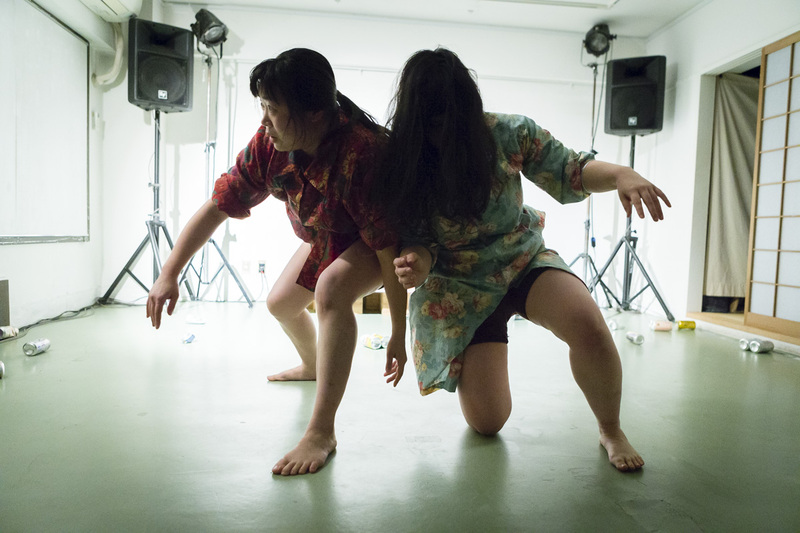 Fukuoka Dance Fringe Festival is the ignition point. This year's submission deadline is September 5th, so there's plenty of time to submit your piece, whether it be a new piece or a pre existing one. I'm looking forward to reviewing your submissions! In this day and age, there is no definition of correct dance. Nobody will tell you which direction to pursue in your art. Still, you can't help but dance, and you can't help but create. Pieces born from this kind of boiling over passion are what opens the door to the next age. Not just the door within you, but doors all over Japan, and all over the world. Fukuoka Dance Fringe Festival has become one of Japan's most notable dance festivals with its deep network within Asia and its dance community On the stage of FDFF, we have seen incredible and unique talent that continued on to perform all over the world. FDFF just celebrated its 10th anniversary last year, and this year we're eager for new faces. We don't need clever or straightforward works. We want the out of the box creators with the undefinable pieces. Come to Fukuoka, not just so some big wigs can praise your work, but for your own creative soul. ・Works selected will be performed on either February 11 or 12. No work will be performed twice. ・Performers will be expected to take part in technical meetings and rehearsals starting on Feb. 7, 2018. Since there are many performances, the amount of rehearsal time per performance will be limited. A detailed schedule will be sent once the selection process is concluded. ・In addition to the main showcase, the festival will be hosting workshops, discussion panels, and other related events. For more details, please visit our official website to see a list of last year's events. ・Performers are expected to perform at the either of the above venues. ●We encourage the submission of any original dance performance. ●As a general rule, the length of the performance should be no more than 20 minutes.The performance can be a first performance or a repeat of a previously performed work. 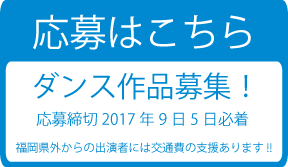 ●For performers travelling from other prefectures than Fukuoka, travel expenses will be subsidized (up to ¥50,000 per group). ※Once we receive your submission, you will receive a confirmation email from our office within five business days. If you do not receive a confirmation email, please contact us via email so that we can make sure that we have received your submission. 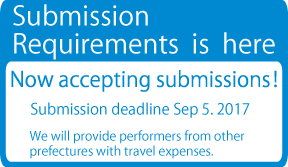 ※Performers will be notified about the status of their submission by mid-October. © NPO Co.D.Ex. All Rights Reserved.